The cancellation of bus runs continue, with the Ministry releasing a list of bus cancellations for this afternoon [Jan 17] with the list indicating that there are ten bus runs cancelled. Put in correct order of which will be completed first, 2nd etc. 1) Airport will be finished. 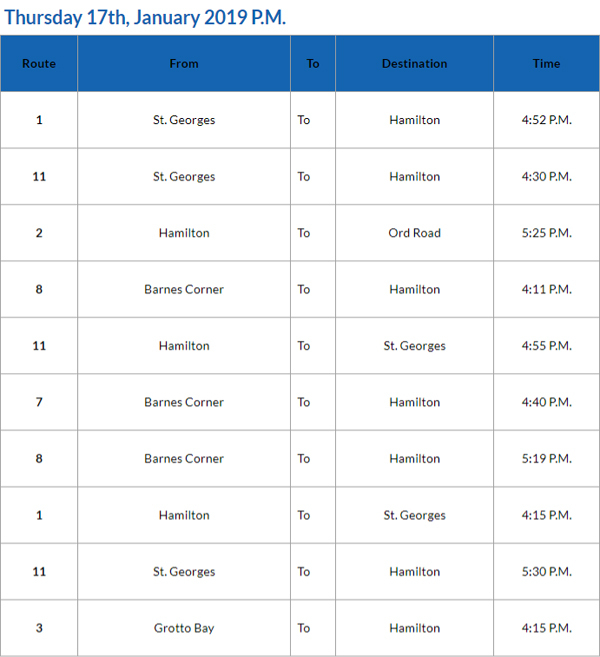 2) New bus schedule implemented. 3) Great wall of south shore will be finished. 4) OBA back in power trying to fix the books again.